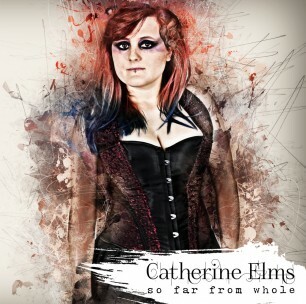 On Saturday 29 March I’ll be opening Llanelli Music Scene‘s Band of the Month gig! 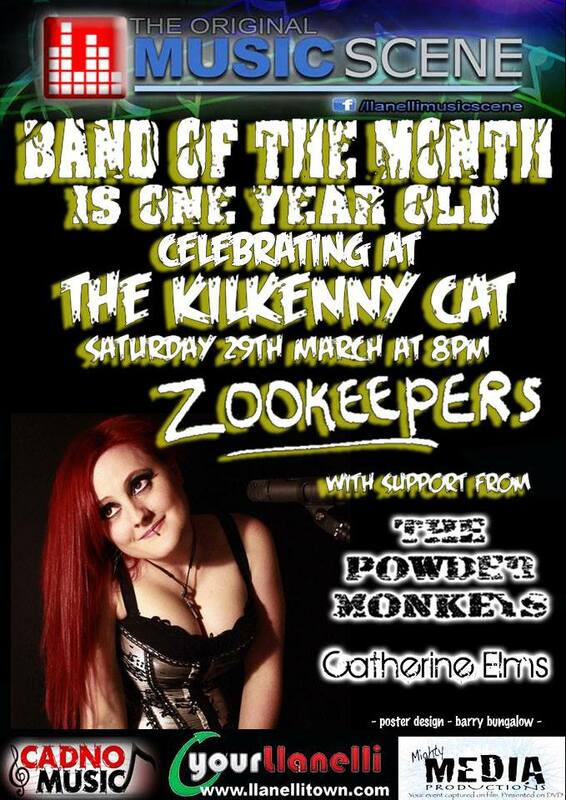 Also on the bill are Zookeepers and The Powder Monkeys. 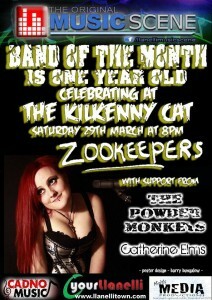 Band of the Month is a year old at the end of March and we will be celebrating at Kilkenny Cat on Saturday 29th March! Come and join us and promote your local Music Scene!